Starter relay Sea-Doo jetboat 4-stroke There is 1 product. Starter relay Sea-Doo jetboat 4-stroke personal watercraft parts buy? We only sell high quality Sea-Doo Starter relay in our water sports store. The Starter relay are available from stock. If you would like more information about mounting a Sea-Doo Starter relay you can find this on our help with Assembly page. 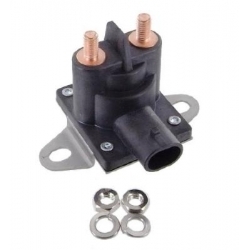 Even though we have many different Sea-Doo parts for the personal watercraft, it goes without saying that you have a Starter relay each can buy. So you always have exactly what you need and you can replace the defective Sea-Doo part quickly. Order your multiple parts? It could be that the shipping costs are free. From 100 euro, shipping free and you pay only for the Sea-Doo parts. We can also advise you about Sea-Doo parts and Starter relay. For this we have experts with years of experience in service. So get in touch if you have a question. All our contact information can be found under the heading ' customer service ' on our website.